Congregation Kneseth Israel features the most complete services and the lowest prices in the community. For prices. Questions? Please contact the synagogue office via email or 410-263-3924. You can also contact our Membership Chairperson about specials for new members via email or by calling 410-263-3924 extension 3. Join us for a memorable and inspiring service under the leadership of Rabbi Micah D. Halpern. Tashlich at 4:00 PM at the home of Dr. & Mrs. Michael Monias, with a walking group leaving the shul at 4:00 PM. Mincha at 5:45 PM. Fast begins at 6:02 PM. 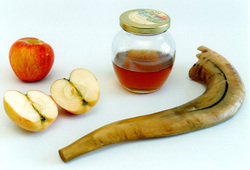 Congregation Kneseth Israel provides youth services and baby-sitters on Rosh Hashanah and Yom Kippur. Youth Services: ages 5-12 from 10:30 AM – 11:30 AM; Baby-sitting ages 2-5 from 9:30 AM – 1:00 PM. With your cooperation we will all enjoy a meaningful, warm, and dignified service.